If you have never worked with IP tunneling before, you might want to take a look at the Advanced Router HOWTO before continuing. Essentially, an IP tunnel is much like a VPN, except that not every IP tunnel involves encryption. A machine that is "tunneled" into another network has a virtual interface configured with an IP address that isn't local, but exists on a remote network. Usually, all (or most) network traffic is routed down this tunnel, so remote clients appear to exist on the network services, or more generally, to connect to any two private networks together using the Internet to carry the tunnel traffic. Before we rush right into our first tunnel, you'll need a copy of the advanced routing tools (specifically the ip utility). You can get the latest authoritative copy at ftp://ftp.inr.ac.ru/ip-routing/. Be warned, the advanced routing tools aren't especially friendly, but they allow you to manipulate nearly any facet of the Linux networking engine. 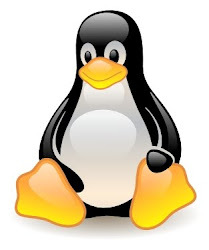 Assume that you have two private networks (10.42.1.0/24 and 10.42.2.0/24) and that these networks both have direct Internet connectively via a Linux router at each network. The "real" IP address of the first network router is 240.101.83.2, and the "real" IP of the second router is 251.4.92.217. This isn't very difficult, so let's jump right in. Naturally, you can give the interface a more meaningful name than mytun if you like. From the first network's router, you should be able to ping 10.42.2.1, and from the second network router, you should be able to ping 10.42.1.1. Likewise, every machine on the 10.42.1.0/24 network should be able to route to every machine on the 10.42.2.0/24 network, just as if the Interent weren't even there. Just as with the IPIP tunneling hack, we'll assume that you have two private networks (10.42.1.0/24 and 10.42.2.0/24) and that these networks both have direct Internet connectivity via a Linux router at each network. The "real" IP address of the first network router is 240.101.83.2, and the "real" IP of the second router is 251.4.92.217. That's it! You should now be able to pass packets between the two networks as if the Internet didn't exist. A tracroute from the first network should show just a couple of hops to any host in the second network (although you'll probably notice a fair bit of latency when crossing the 10.42.2.254 hop, unless you're really well connected). If you're having trouble, check the notes in the IPIP example and don't panic. Your best friend when debugging new network configurations is probably a packet sniffer like tcpdump or ethereal. Running a tcpdump 'proto \icmp' on both routers while pinging will give you a very detailed overview of what's going on. how configure these tunnels UP on boot time. how do u make it persisitanat after reboot ? That would depend on your Linux distribution, but don't be afraid to script it and run it from SystemD earlier in the boot process. Adding it in rc.local might not be ideal considering that it will run last after other services that might depend on the networking. Thanks man, very well written article ! Thanks for this post! Clearly explained and easy to follow.